Can Cancer Cause Food to Hurt Going Down Chest? Does food lately hurt going down your chest and you can’t help but wonder if this means cancer? Cancer can cause chest pain depending on where the tumor is located. For instance, lung cancer can actually cause chest pain. So can bone cancer and lymphoma (cancer of the lymph nodes). However, we are talking specifically about pain or discomfort WHILE food is going down your chest. You will be relieved to know that cancer does not cause a pain or ache to be triggered merely by the act of food making its way down your chest. “Odynophagia is pain caused by food traveling down in the chest,” says Franjo Vladic, MD, a board certified gastroenterologist with Center for Digestive Health and Endoscopy Center in Ohio, whom I consulted with for this article. Why can food going down your chest sometimes hurt? Odynophagia can also be caused by rapid eating of certain kinds of food, though it’s more of a pressure type of aching rather than a pain. The food in particular that causes this, while eating it rapidly, is bread. Due to its texture, bread can be wolfed down rapidly in large amounts, but because it’s more solid than mashed potatoes or pudding, it can create a bottleneck in the esophagus. The esophagus runs down the chest from the throat, linking the throat to the stomach organ. If you have clumps of bread in there, it’s going to be uncomfortable. Can the causes of ogynophagia LEAD to cancer, such as colon cancer? Certainly not. But if you’re concerned about colon cancer but are either afraid of having a colonoscopy or too young to be considered a candidate for a colonoscopy, you can give yourself a home screening test with Cologuard. With Cologuard, which is available only by a prescription, you collect a stool sample and mail it off. 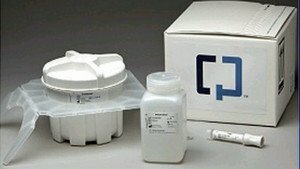 Cologuard uses advanced DNA technology to identify abnormal cells. If your doctor has not heard of Cologuard, give him or her the Cologuard number: 1-844-870-8870. In the meantime, slow down your eating, especially that of bread, and drink more fluids in between mouthfuls, to see if that doesn’t eliminate that hurt in your chest when food goes down. Dr. Vladic’s special interests include acid reflux, colitis, colon cancer, GERD, heartburn, IBS, liver disease, obesity, pancreatitis and peptic ulcer, among many others. Can GERD Cause You to Vomit in the Morning after Waking? 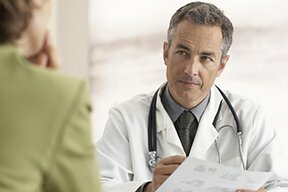 Can Chronic Pancreatitis Be Caused By Cancer?